Can video really make a difference for your business? According to Headliner, yes. All of the big social networks are focusing more and more on video because it drives a higher engagement than text and images. In fact, according to wordstream, “Social Video Generates 1200% more shares than text and image content combined.” That’s a staggering statistic in favor of video. So, including video on your social feed can make a difference, but what about for making sales? According to Unbounce, adding a video to your landing page can increase conversions by 80% – not too shabby. Knowing that video can greatly increase social media engagement left me wondering wanting to know more about the practices for creating a social video. Oy daily tech podcast, Oliver Wellington revealed how Headliner is used by over 10,000 radio producers, podcasters, publishers and is generating thousands of videos per week. I asked him to share the secret ingredient to the success of the Headliner tool. According to DigiDay 85% of Facebook videos are watched with the SOUND OFF? You need to make sure your point comes across via text. Graham Mudd, Director of Monetization Product Marketing at Facebook, says that as many as 40% of Facebook ads do not effectively communicate their message without captions! (Business Insider). Landscape is best for Youtube, Facebook, and viewing on computers. Square is easy to use on Facebook, Twitter, and Instagram and is overall the most versatile since it works on mobile and desktop. Audio is the backbone of podcasting, but it doesn’t always translate alone to social media platforms such as Facebook, Instagram, Twitter, and YouTube. 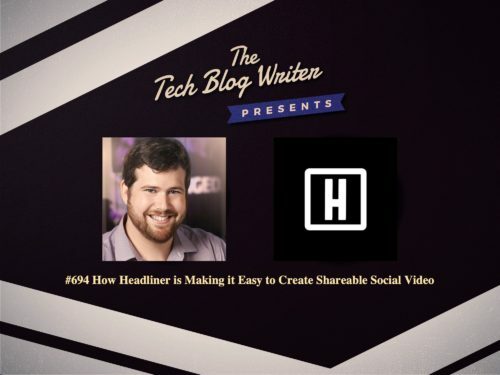 Creating a video with Headliner using your audio as a starting point increases where you can strategically share your content. Another creative way to use Headliner is to make a highlight reel of the past week’s/month’s podcasts so listeners who have missed some episodes can get caught up in one video. Maybe they’ll head on over to hear the full podcasts they heard snippets of!